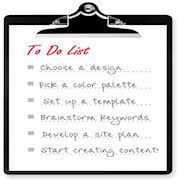 The easy website design tools from the Site Build It platform make up a great online website design builder for non-techies and new website owners alike. Like most website hosting companies (which is only part of Site Build It/SBI does), SBI offers an easy website builder aimed mostly at beginners in the web design world. What's great about their platform is that it doesn't require you to know anything about HTML or graphics, in order to get started. They provide simple web design templates and graphic tools that almost anyone can learn to use effectively with a bit of practice. 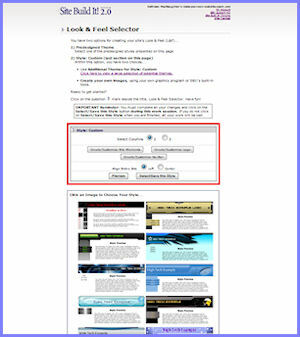 In fact, they're so easy and so powerful, that even more experienced webmasters often choose to use them! It used to be said that Site Build It's designs were antiquated and clunky looking, not to mention cookie cutter. I used to agree... but nothing could be further from the truth these days. SBI made a huge design update in the fall of 2010 and another one is on the way within the next few months! SBI's web design area is something they call the "Look and Feel Selector". It consists of hundreds of templates, the ability to choose a 2-column or 3-column layout for all of your pages and even the ability to design your own header and navigation bar. The choices aren't endless and the current color selection is rather limited, but you can create a custom website design that won't look like other SBI owners' sites... if you work at it. The good news is there are many beautiful designs from which to choose these days! Once you know your way around, the SBI L&F Selector isn't hard to use. And you can change up your whole site's look and feel at any time, with just the click of a few buttons! 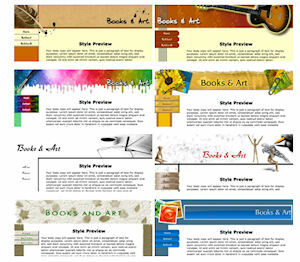 Site Build It's easy website design tools will get your new website going in no time... and you can have a design you'll be proud of and that helps show off all your great content!